Regular Delivery: Includes professional in-home delivery, removal, and more! We typically deliver in-stock products within 1-3 days. Pickup: Order online and pick up at our Stoughton distribution center. Available for pickup at our Stoughton distribution center. Will confirm pickup availability when confirming the order. Not just dropped on the curb. We bring the product into your home, remove the old unit and all the packaging, and more. Need it installed? Whether it's a dishwasher or customizing cabinetry for a new wall oven, we can help. The largest independent service team in New England with 30 technicians. Every service team member is factory-trained and CORI-certified. 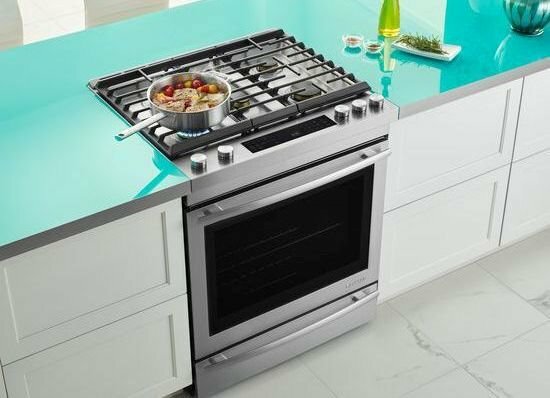 You'll never know how well you can cook - or what delicious results you can achieve - until you cook on the Wolf 30" Gas Range. It has performance features born of professional kitchens, for the precise control to master any type of cooking. Sear a filet, simmer a delicate sauce, cook a perfectly juicy roast, even melt fine chocolate without scorching - you'll confidently do it all with our incredibly responsive GR304 range. Four dual-stacked burners give you the highest highs down to the lowest lows. Continuous, cast-iron-grates make it easy to slide heavy pots around. Down below, the spacious gas convection oven provides even, consistent heat across all racks, with none of the hot and cold spots that can make roasting or baking such an iffy proposition. It even has an infrared broiler that sears quickly and evenly - can't you just taste the tenderloin? Large capacity convection oven heats quickly, cooks evenly for more consistently delicious results, and has 18,000 Btu infrared broiler for ultra-fast sears. The upper-tier burner delivers maximum heat for rapid boils and caramelized sears, while the lower tier can go down to a mere breath of flame for gentle simmering or melting. With seamless burner pans sealed around each burner, sloshes and spills are kept contained for easy clean-up. Large, double-panel glass door windows and bright dual halogen lights give you a clear view of your dish without having to open the door and disturb the cooking process. This powerful 18,000 Btu broiler lets you sear and crisp steak, salmon and more just like it's done in restaurants, with succulent results. Great for finishing off homemade pizzas, too. Infrared heat generates much higher temperatures and heats up faster than other types of heat. 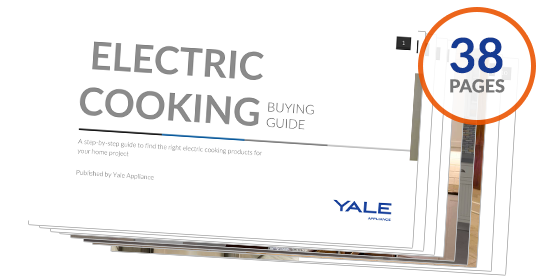 Instantly identify your stove as a Wolf, and provide infinite control for more precise cooking. Each burner has a sensor that detects if the flame has gone out while you're cooking and automatically re-ignites it. Heavy-duty stainless steel legs adjust for stability, while rear casters provide mobility. 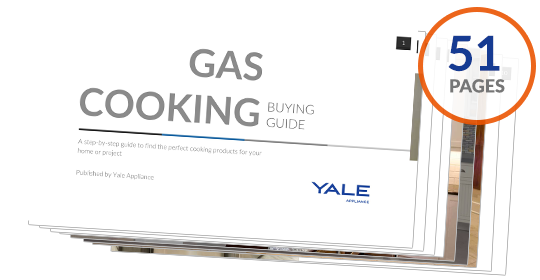 Yale is proud to provide top quality service for all our customers. Installation services not available on all products, please call store for details.